Losing weight can be an uphill task. We see shiny ads encouraging people to lose those few (or more than a few) extra pounds without getting off the couch. We try them out but they dont seem to be working for us. According to a recent study by the Oregon State University, there is no such thing as a magic pill. None of the hundreds of supplements they tested proved effective. Weve all heard the age-old saying that we should chew each bite 30 times. When we eat, our body releases hormones, which tell the brain that you are no longer hungry. So, chewing slowly makes us eat slowly, which in turn prevents us from overeating. Here is a nifty little trick – whenever you feel hungry, drink a glass of water, and wait for a bit. If you are still hungry, feel free to eat. If not, wait for the next mealtime. Many a times our brains mistake simple thirst for hunger. That is because both are controlled by the same gland hypothalamus. Furthermore, a study conducted in the UK proved that people, who drink a glass of water 30 minutes before a meal, lose more weight than those who dont. This one is a toughie! Whether its sitting down to watch something, or simply staying awake during that boring online meeting, snacks have become an integral part of our lives. The sad truth is that these snacks pose huge risk to our health. We could, of course, opt for a healthier choice. Having an eating pattern is important. Your body needs to know that it will receive food on a regular basis, so that it will not go into an emergency mode and start storing fat for rainy days. Additionally, having a meal plan will help you make better nutritional choices, and it will prevent you from overeating. Furthermore, it will help you to save some money too. Intermittent fasting has proven to be more effective than any other diet out there. It allows you to eat the same amount of food that you normally would. There is just one condition – you have to do it within a given time frame. One of the most popular methods is called Leangains. It basically asks you to fast for 14-16 hours in the day and eat throughout the rest of the time. In other words, this means skipping breakfast. The rest of the meals are quite the same, so you can still plan them out, and enjoy them with your family. Fasting can be quite difficult for some people, and if you have medical conditions, you should consult a doctor before trying any of it. However, if youre a healthy individual, give fasting a try, and see what all wonders it can do! 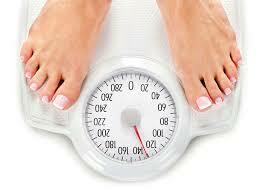 Ultimately, losing weight is a complex process – exercise is just a small part of it. Supplements dont work as per expectations. However one can achieve the goal by taking the simple steps described above.